Four men were stopped in central Mexico in possession of a drone with an explosive device attached. The discovery is sign of a shift in criminal tactics, further incorporating drones. Drones have been adopted by criminals and police alike in Latin America, especially in relation to drug trafficking. An early-morning traffic stop in central Mexico led to the discovery of a drone outfitted to carry a homemade explosive, marking the latest sign that cartels and criminal actors involved in Mexico’s drug wars are turning to autonomous vehicles to compete. Mexican federal police stopped a late-model Mazda on a highway in Guanajuato, a state north of Mexico City, during the early hours of October 20. The car had been reported stolen. In the vehicle, police found an AK-47 rifle, ammunition, and cellphones. In the back, police also discovered a small drone — a similar version of which can be bought for a few hundred dollars on Amazon — with an explosive device taped to it and a radio-frequency detonator, according to the state’s attorney general, Carlos Zamarripa Aguirre. The rifle and the explosives were types reserved only for the use of the military, and Zamarripa said possession of them constituted federal crimes. Zamarripa said similar explosive devices had been encountered before but never attached to a drone — though similar explosives have reportedly turned upelsewhere in Mexico several times this year, according to Small Wars Journal. Guanajuato has recently become one of the more violent states in Mexico, with homicides rising nearly 30%, from 817 during the first nine months last year to 1,058 over the same period this year. Some of Mexico’s major criminal groups are reportedly disputing control of the state, including the Gulf, the Zetas, the Sinaloa, and the Jalisco New Generation cartels. The prosecutor said the suspects were being investigated for ties to criminal groups and could potentially be charged with terrorism. Mexican officials have said since at least 2010 that traffickers are making use of drones for smuggling purposes. 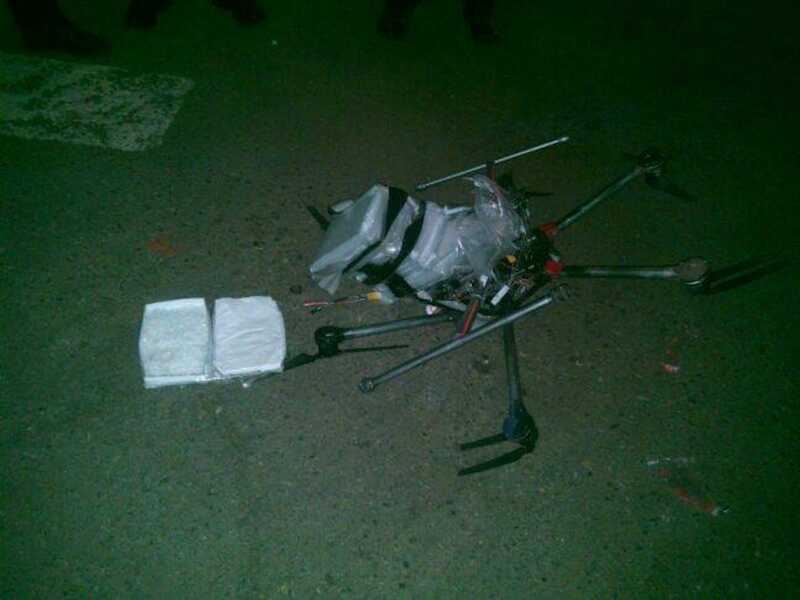 In January 2015, a drone loaded with meth crashed in Tijuana. In August this year, border-patrol agents in San Diego stopped their first confirmed case of smuggling by drone, though other attempts are believed to have been successful. Smugglers are more recently suspected of using drones for surveillance and intelligence gathering, particularly in areas along the US border. Drone deployed with explosives could conceivably be used against personnel or targets like roadblocks or buildings. Mexico’s Center for Investigation and National Security, or CISEN, has also warned that the Jalisco New Generation cartel in particular has been using improvised explosive devices, modeled on versions used by Colombia’s left-wing FARC rebels, the ingredients and instructions for which can reportedly be found online. The CJNG has quickly become one of Mexico’s biggest cartels and is regarded as one of the most violent. The type of explosives the cartel has been identified as using are considered highly unstable and dangerous to both their makers and the people they’re used against. CISEN said in a report that as the CJNG expands, destruction from such weapons is may well increase. Drone technology has advanced significantly in recent years, and criminal actors in Mexico are not the only ones to adopt it. 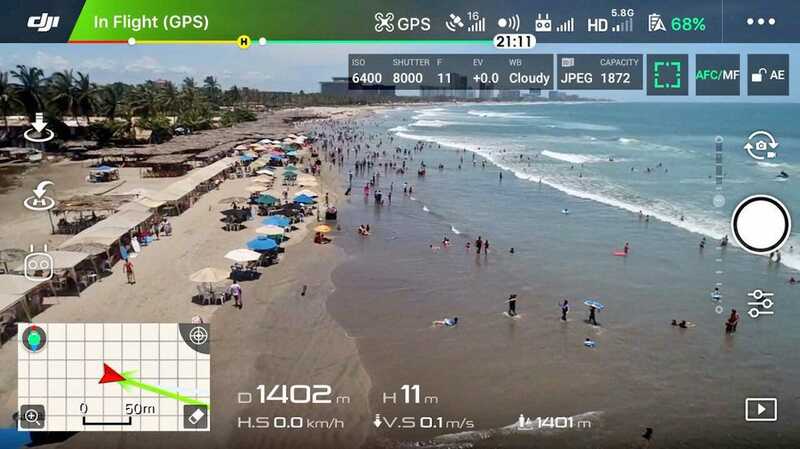 The municipality of Santa Catarina, in Monterrey in Nuevo Leon state, police have deployed a military drone in an effort to crackdown on robberies and gather information about criminal activity. 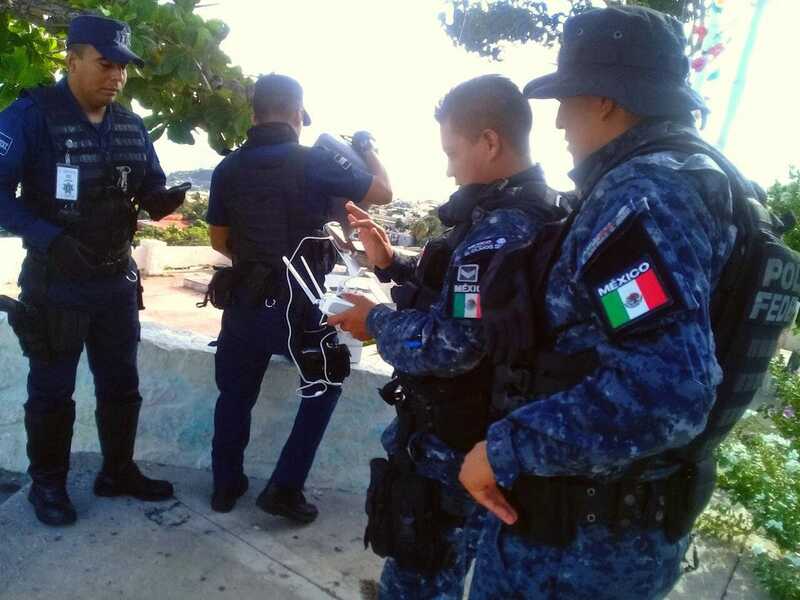 In Acapulco, local and federal police have also used drones for aerial patrols, working in tandem with officers on the ground to prevent crime and reinforce security. Acapulco, an idyllic resort city, has been wracked by drug-related crime for some time, with violence creeping into urban zones and tourist areas. Throughout Latin America — one of the world’s most violent regions — governments are adding drones to their security forces to crack down on crime, particularly on drug trafficking. Special-operations police in Rio de Janeiro have started using drones to monitor gangs and the drug trade in slums that surround the city, which has seen a precipitous rise in violence in recent months. Communities in Chile’s capital have added drones for citizen-security patrols, and police forces there have solicited bids for unmanned vehicles to counter narcotics and organized crime. In Colombia — where traffickers have been caught using drones — authorities have adopted drones for military and civil use. Bolivia has incorporated drones into its military, and Peru’s national police force has added drones for citizen-security, anti-terror, and counterdrug operations. Brazil has added drones to counter smuggling in the Amazon and along its borders with Colombia and Peru. Colombia, Bolivia, and Peru are the world’s main producers of coca, the base ingredient in cocaine.